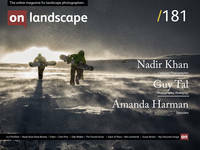 Welcome to On Landscape and thanks for thinking about subscribing. Once you have an active subscription, you will have access to every article ever published in On Landscape. This includes back issue content amounting to over a thousand articles. You can take out a subscription paid yearly, every six months or quarterly. Yearly is the cheapest at £59 per year, paying £34 every six months works out as £68 per year and paying £19 quarterly works out at £76 per year. Once you return, this page will give you further instructions.